← 14 Things That Happen to Your Body After Losing 10 Pounds. You are going to love this! Which Tuna Should You Eat to Reduce Toxic Mercury That Goes Into Your Body? It’s simply amazing and sometimes overwhelming the foods to eat that are healthy and those that are not. I just learned I’ve been buying and eating the worst tuna there is on the market. I found out it’s the highest in Mercury! Basically, I’m ingesting High levels of Mercury which is highly TOXIC! So if you eat tuna, this is a MUST read. First I want to say, no you don’t have to give up Tuna. 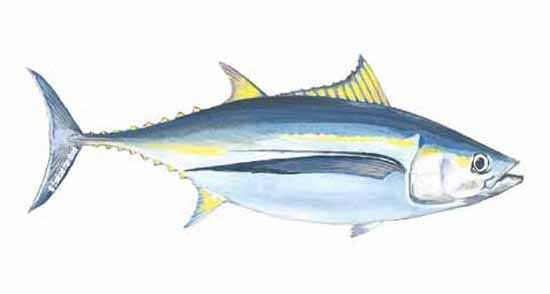 You may have to change the type of tuna you are currently buying (like I did) but you can still enjoy Tuna. Let’s talk about the dangers of Mercury. This stuff is no joke! Mercury is especially bad for pregnant women and children. All tuna has some mercury but some tuna has far less. (2)Infants in the womb can be exposed to methylmercury when their mothers eat fish and shellfish that contain methylmercury. This exposure can adversely affect unborn infants’ growing brains and nervous systems. These systems may be more vulnerable to methylmercury than the brains and nervous systems of adults are. (1)Mercury poisoning via heavily contaminated seafood and fish can harm a person’s fertility as well as threaten their nervous system. (2) Exposure to methylmercury most commonly occurs when people eat kinds of fish and shellfish that have high levels of methylmercury in their tissues. (3)What type of Tuna should you not eat and what type should you eat? Tuna only looks small in a tin. In the ocean it’s big. Very big – you can fit about 5,000 tins of tuna from one Albacore Tuna. (Sometimes labeled “solid white” ), Because of its size, it eats a lot of big fish (which have mercury in them) which means that by the time it’s killed, enormous amounts of other fish’s mercury have accumulated in its own flesh. So the rule is, the larger the tuna, the more mercury it can have in it. So instead, look for small tuna. Skipjack and Tongol (labeled “chunk light”) are the smallest. This smaller size makes such a difference in mercury levels that guidelines suggest that one can eat these tuna 3x as frequently as white Albacore. Also, it matters if the can has oil or water in it. Choose water-packed tuna rather than oil-packed. When you drain oil-packed tuna, some of its natural omega 3 fatty acids leach into the added oil and go down the sink drain. But since oil and water don’t mix, water-packed tuna won’t lose any of its omega-3s when you drain the water. This entry was posted in Food and tagged best tuna to eat, Oil packed or water packed tuna the best?, toxic Mercury, toxic tuna, which tuna has the most Mercury?. Bookmark the permalink.